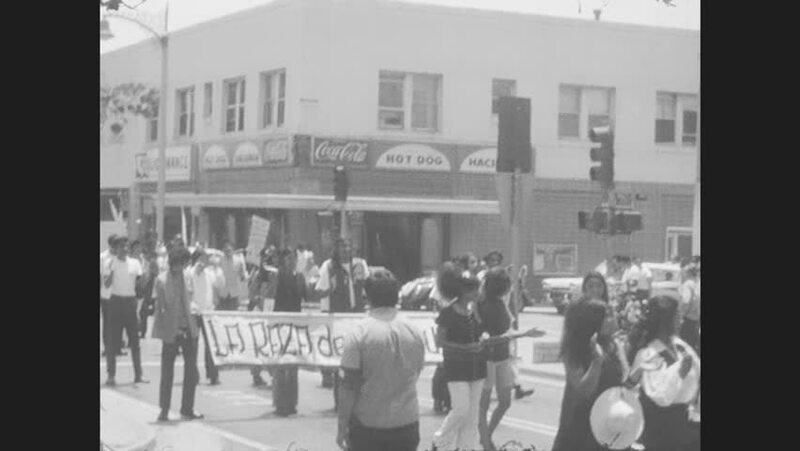 1970s: UNITED STATES: people stand outside shop and watch protest. People march through street with banners in protest. hd00:37CIRCA 1940s - The charge of war crimes against Nazi Germany in 1948, their crimes against the peace and genocide. hd01:04CIRCA - 1953 - The President of South Korea Rhee Syngman and the citizens of South Korea mourn the dead following the Korean War. hd01:46CIRCA 1956 - A US soldier flies an experimental one-man helicopter; another demonstrates the use of a jet pack (called a "rocket belt"). hd00:57CIRCA 1910s - 37th Division troops convene and mill about and relax and pose and eat during the Ypres-Lys Operation in World War 1.
hd00:251950s: Music teacher speaks with young man. Young woman approaches piano. Young woman sings. Young man sings. Diagram of larynx. hd00:151930s: People walk on the street in downtown. Steam train passes by. hd00:20UNITED STATES: 1960s: man speaks in court room. Men on benches in court. hd01:03CIRCA 1919 - Men of the US Army's 17th Field Artillery attend Motor School.